Your search has finally ended! Here is the classic white sailor hat you've been asking for. Made in the traditional "dixie cup" style, this new pure cotton hat has an embroidered anchor on the front. This hat has an elastic chin strap to keep it on your little one, but it can be tucked inside the hat or easily removed if you prefer. This cute little sailor hat will be the crowning touch to any sailor suit or dress. 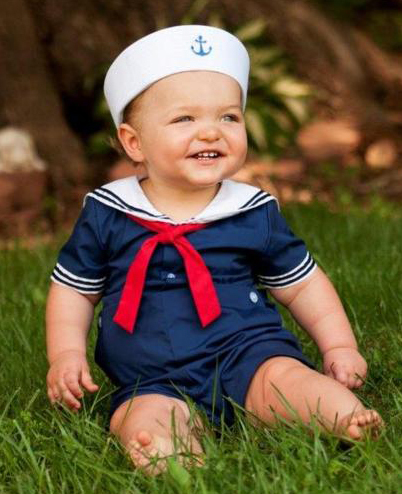 Note: This darling sailor hat is also available in navy with white anchor. See below.